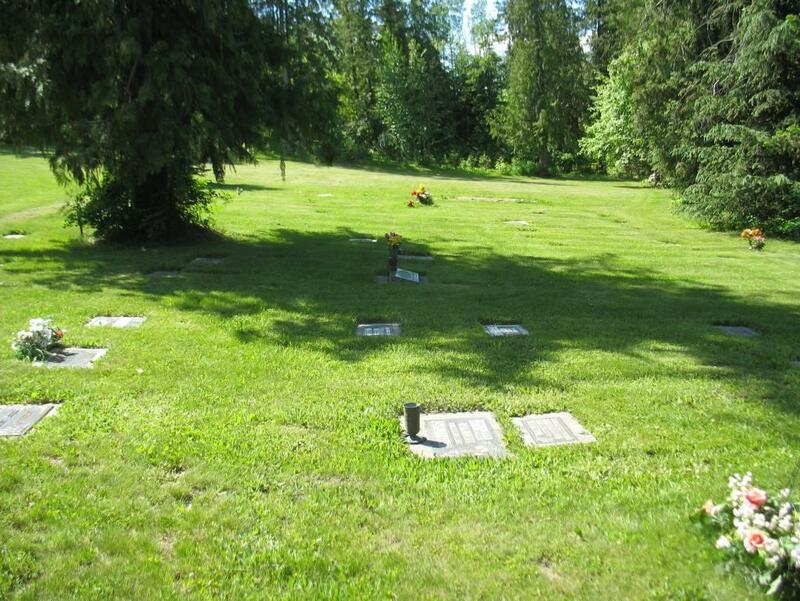 The following is a transcription of the Sorrento Cemetery located at St. Mary's Church in Sorrento, British Columbia, Canada. Latitude: 50o 35' 95" N.
Longitude: 119o 28' 19.66" W.
Blind Bay is so named because of the angle at which the bay joins Shuswap Lake. It is easy to travel down Shuswap Lake without noticing the bay at all, as it is almost concealed from sight. Sorrento was originally called Trapper's Landing. 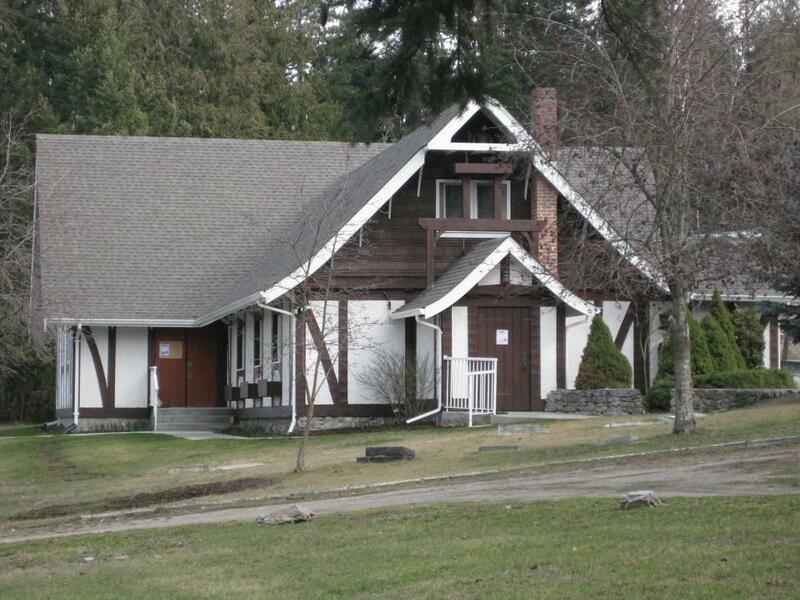 It was changed to 'Sorrento' around 1907 when Mr. James R. Kinghorn purchased land in the area and began to lay out a townsite. Shuswap Lake and Copper Island reminded him of the Bay of Naples and the Isle of Capri in Italy where he had spent his honeymoon and soon the name of Tapper's Landing became "Sorrento". This cemetery in Sorrento has been in use since 1905. The Sorrento Cemetery is a public cemetery, currently in use. 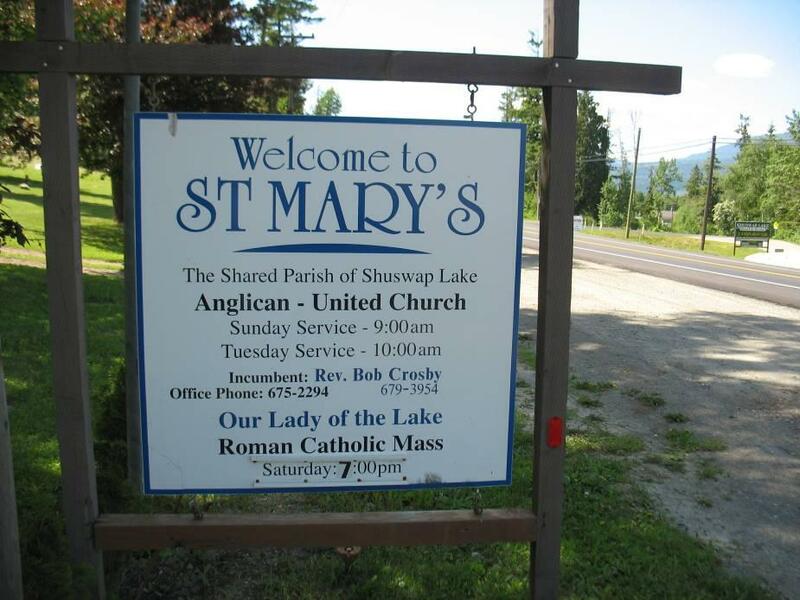 It is administered by the Anglican Church, Diocese of Kootenay. The vegetation is controlled and the grounds are well maintained by the Parish. 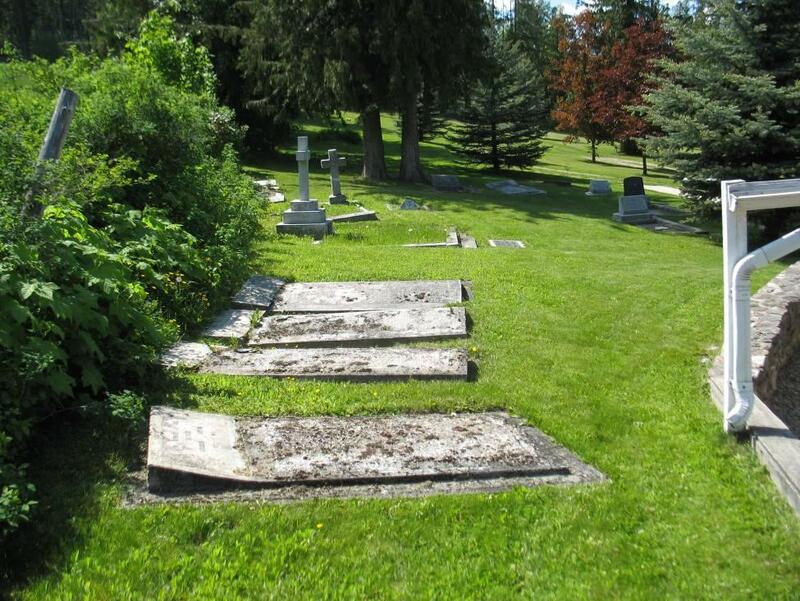 There are approximately 300 levelled graves and cremation sites. 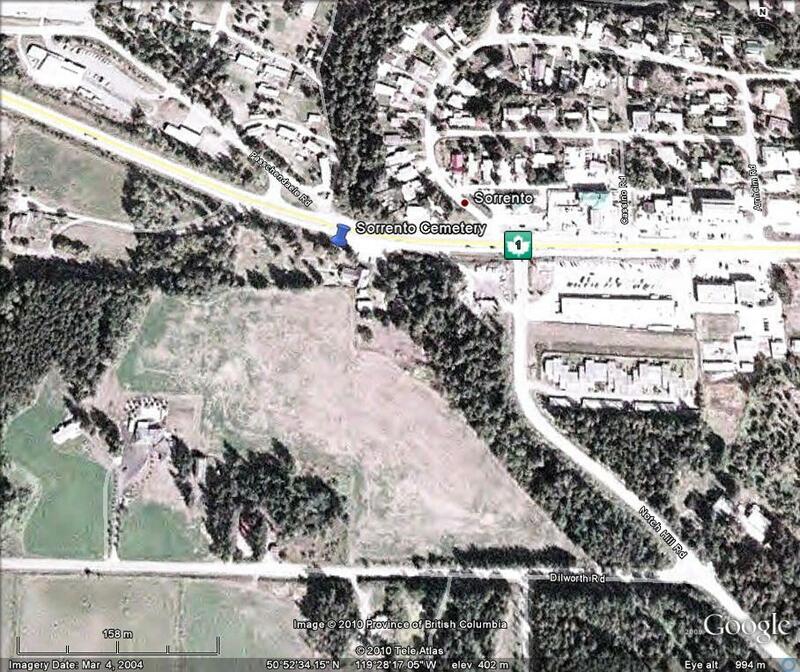 The Sorrento Cemetery is located in Sorrento at St. Mary's Anglican Church at 1188 Trans-Canada Highway. The church and cemetery are slightly hidden from view by trees but there is a sign announcing the church visible from the Highway.